In 1974 filmmaker Mel Brooks had a big hit with Young Frankenstein, a film which was selected as #13 on AFI’s Funniest American Movies of All Time. 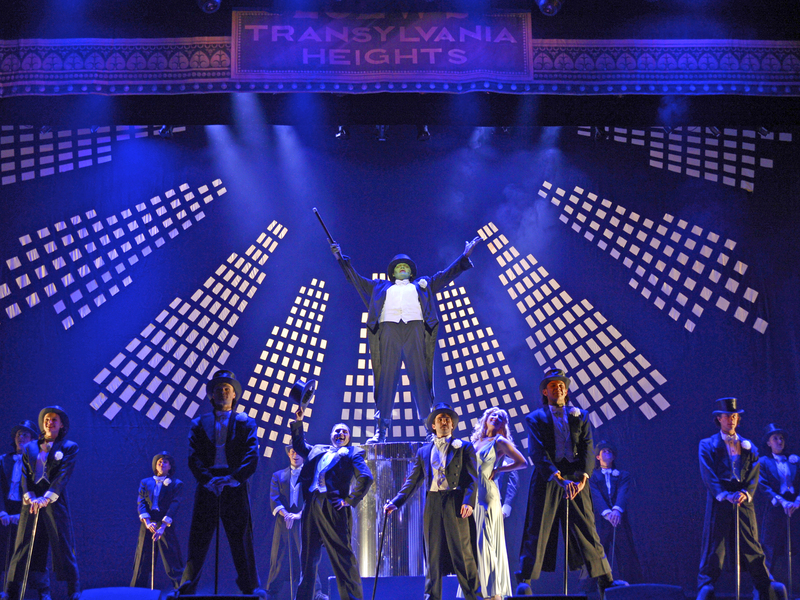 In 2007, following his phenomenal success of transferring his first film, The Producers, to the Broadway stage, he crafted a musical version of Young Frankenstein. It didn’t meet with the same success as his earlier film to musical stage adaptation, but it did receive three Tony Award nominations and ran for 485 performances then generated a 40-plus city National Tour. 3D Theatricals is currently presenting it as the opener of their 2017-2018 season in Redondo Beach and Cerritos. If you missed it on Broadway or on tour, catch it now with all the glitter, glitz and laughs intact. The scenic and costume designs are based on the original designs by Robin Wagner and William Ivey Long, respectively. Daniel Smith and David Lamoureux have respectively recreated the original choreography and direction by Susan Stroman. Both local men have done a great job in recreating all the fun moments fans remember from the film and Brooks made sure to write into the stage version. 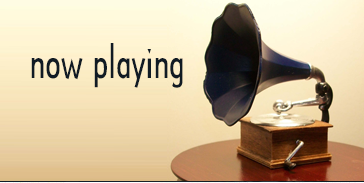 The audience starts applauding at the black and white movie like title credits. 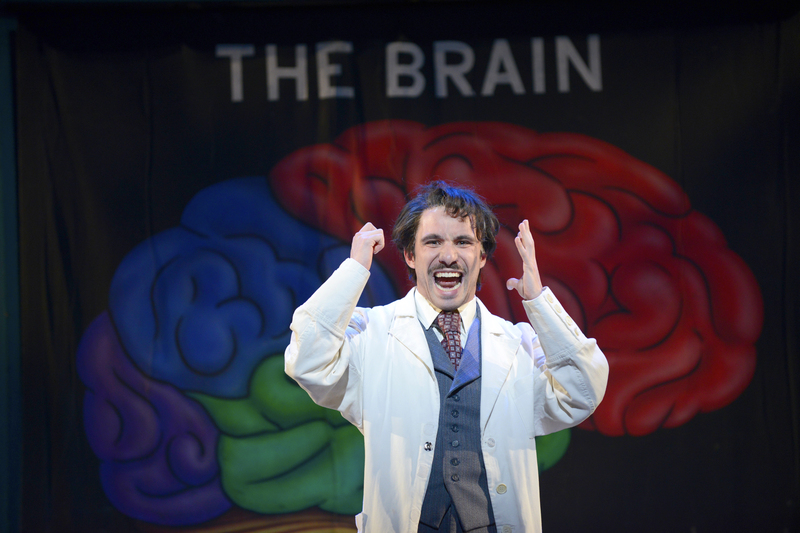 Frederick Frankenstein (pronounced Franc en steen and played by Dino Nicandros) is a renowned brain surgeon in New York, engaged to the madcap, well-dressed society gal Elizabeth (Ashley Fox Linton). When his grandfather dies he must travel to Transylvania to collect his inheritance. There he meets Igor (Erick Scott Romney), the hunchback with the floating hump, castle keeper Frau Blucher (Tracy Rowe Mutz), his lively new assistant Inga (Julia Aks) as well as the skeptical and easily frightened townspeople led by Inspector Kemp (Richard Gould) who had lost an arm and a leg to the original creature. When Frau Blucher (cue the horses to whinny) reveals she was Grandpa’s assistant and Frederick finds his grandfather’s journal, he decides to try an experiment or two of his own. Of course Igor grabs the wrong brain and when The Monster (Danny Blaylock) is frightened by fire and runs off into the countryside, peasants with pitchforks and hilarity ensues. Elizabeth, who earlier cautioned fiancée Frederick to “Please Don’t Touch Me” arrives in time to be carried off by The Monster whose touch she craves after experiencing “Deep Love” with him. Linton Fox plays her society and sexual foibles with considerable élan. It all ends well when Frederick manages to transfer his IQ to The Monster just in time for a big song and dance finale. Nicandros makes a winning Frederick and plays off all the weirdness surrounding him quite well. 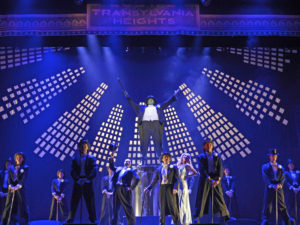 He receives strong support from the comic pros in the cast and the chorus is filled with talented dancers who manage to make each number from “Transylvania Mania” to the big tap- filled “Puttin’ on the Ritz” delightful showstoppers. This is a Mel Brooks musical and the humor gets gleefully raunchy at times. We wouldn’t accept anything less. Redondo Beach Performing Arts Center, 1935 E. Manhattan Beach Blvd. in Redondo Beach. Ends Oct. 16.